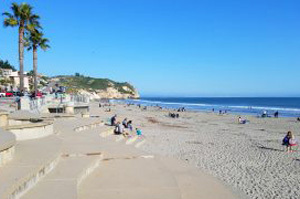 Avila Beach has a population of approximately 1,627 at the 2010 census. Avila Beach is where Fun Meets the Sun! If you haven’t been to Avila Beach lately, you owe yourself a visit. Located along the blue Pacific, equal distance between Los Angeles and San Francisco, Avila enjoys the friendliest climate on California’s Central Coast. You’ll find that same small-town charm you remember, along with the warm sunny microclimate and the same beautiful beaches, but now they’re surrounded by world-class amenities. Great new hotels, restaurants, shops and stores are waiting for your Avila Beach journey of discovery. Avila is easily California’s greatest getaway. Close, convenient and economical — yet a world apart. Here resort living takes over, and entertainment is in the fresh salt air. Amenity-laden hotels, delightful oceanfront restaurants, wonderful local wines, and a variety of shopping for everyone. As a source of natural, mineral hot springs, Avila means spas: hot tub soaking, new age retreats. Average temperatures vary little during the year, ranging from the upper 40s to low 70’s Fahrenheit from November through April, and from the 60’s to low 80’s from May through October. Average annual rainfall is 15 inches. Along with much of the California coast, winter is the wet season, with more than 70% of the yearly rain falling from December through March, while summer brings drought conditions.